Kentucky is a weird state. They've been running horse racing operations for over 100 years and home poker games are fine, too. They don't even prosecute players when they break the law (in terms of playing). Yet, they go as far as to try to seize over 100 online gambling operator domain names. Between that and not really showing interest in regulating online poker in the state, and it's unlikely that we'll see any improvements from where Kentucky currently stands on gambling within the state. We break all of this into more detail for you below. Online poker isn't specifically addressed. That said, Kentucky appears to be more interested in the operator than the player. (7) "Player" means a person who engages in any form of gambling solely as a contestant or bettor, without receiving or becoming entitled to receive any profit therefrom other than personal gambling winnings, and without otherwise rendering any material assistance to the establishment, conduct, or operation of the particular gambling activity. A person who engages in "bookmaking" as defined in subsection (2) of this section is not a "player. "The status of a "player" shall be a defense to any prosecution under this chapter. However, you'll have a hard time finding a poker site to play at. Many sites prohibit players from Kentucky from signing up. Furthermore, in 2008 Kentucky filed papers to seize the domains of nearly 150 gambling operators. In 2010 Kentucky tried to recover losses from Full Tilt Poker. The 2008 case definitely shows their dislike to online gambling, and both cases show how much they want to protect their players. But it sure leaves everyone more confused. So is it illegal? Since players don't appear to face any legal issues if caught, then it doesn't really matter either way. Your biggest challenge is in finding a poker site that will take Kentucky players. Kentucky doesn't address social gaming, however, it appears that so long as you don't promote gambling or take a fee or rake from the game you should be ok. There is a caveat. Players must not earn more than $500 in one day or else they could be charged with promoting gambling. Do Casinos in Kentucky Offer Poker? There aren't any casinos in Kentucky, so no casino poker. We receive a lot of questions about poker state laws and gambling in Kentucky. We thought it'd be helpful to post those here. Will online poker be regulated in Kentucky? Given the history in Kentucky -- probably not. One look at our timeline of events will tell you that. That said, residents of Kentucky can legally bet on horse races online. Many experts feel that Churchill Downs may look to expand this to include poker and other casino games, especially following their purchase of a gambling-themed magazine and web portal. Here is a timeline of the most important (gambling) events in Kentucky regarding regulated real money gaming online. Kentucky files suit against PokerStars, Full Tilt Poker, Absolute and Ultimate Bet Poker. This is a separate suit that was filed before Black Friday happened. 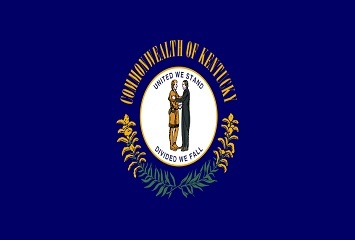 In this suit Kentucky tried to recover losses that residents of the state occurred while playing at Full Tilt. Kentucky attempted to seize over 140 gambling domains in an effort to stop illegal online gambling within the state. Domains included PokerStars and Absolute Poker, who later had suits filed against them in unrelated events. Is there an online poker room that accepts players from Kentucky? Only a handful of sites accept residents from Kentucky. These sites include BetOnline and Sportsbook Poker. What other forms of regulated gambling is offered in Kentucky? Kentucky runs pari-mutual horse and dog racing. They also have a state lottery and charitable gaming. Where can I read more about Kentucky poker laws? Here are some interesting facts about gambling and poker in Kentucky. Poker pro Mark Smith is from Georgetown, Kentucky. He holds the world record for the most World Series of Poker Circuit rings won (5). Minors are allowed to gamble at licensed charitable bingo events, so long as a parent is present. Money lost through gambling can be recovered via lawsuit within 6 months. After that time anyone can file a claim to retrieve the money for up to 5 years. 372.020 Recovery of gambling losses from winner or his transferee. If any person loses to another at one (1) time, or within twenty-four (24) hours, five dollars ($5) or more, or anything of that value, and pays, transfers or delivers it, the loser or any of his creditors may recover it, or its value, from the winner, or any transferee of the winner, having notice of the consideration, by action brought within five (5) years after the payment, transfer or delivery. Recovery may be had against the winner, although the payment, transfer or delivery was made to the endorsee, assignee, or transferee of the winner. If the conveyance or transfer was of real estate, or the right thereto, in violation of KRS 372.010, the heirs of the loser may recover it back by action brought within two (2) years after his death, unless it has passed to a purchaser in good faith for valuable consideration without notice.